ADDIS ABABA, Oct 3 2012 (IPS) - The death of Ethiopia’s leader of 21 years has raised fears of instability in one of Africa’s fastest-growing non-oil producing nations, which could potentially slow investment activity. Former Prime Minister Meles Zenawi, who passed away in August, saw foreign direct investment (FDI) as key to his development plan for Ethiopia. This attitude helped shift Ethiopia’s economy from being wholly reliant on the export of agricultural commodities to, for example, utilising abundant labour and cheap power to begin developing a manufacturing industry. “Without Meles, Ethiopia will struggle to control unrest (ethnic/religious) that could easily spill across regional borders,” a recent International Crisis Group report said. According to the National Bank of Ethiopia, FDI in this country climbed from 150 million dollars in 2005 to 1.1 billion dollars in 2010. To bring in scarce foreign exchange, Meles channeled investment to export-oriented sectors like floriculture, horticulture, textiles, and leather. Ethiopia’s foreign earnings increased 15 percent last year to 3.2 billion dollars, according to the Ministry for Trade. The government aims to double exports as a share of output by 2015, with a much bigger contribution coming from minerals and manufactured goods. Dr Getachew Begashaw, professor of economics at Harper College in the U.S. city of Chicago, questions to what extent foreign investment is translating into jobs and improved quality of life for Ethiopians. “Ethiopia has the lowest per capita GDP (only 351 dollars) in Africa; it is one of the last four countries in Africa. Similarly, it stands at the bottom of all countries reviewed for the human development and prosperity indices (171 out of 178 for HDI and 108 out of 110 for prosperity),” he told IPS. By citing China as his model for governance, Meles may have mistakenly presumed that investors were only interested in receiving a good return on finance, according to Getachew, who believes that if the government’s repressive approach continues it could deter companies in the future. “The political climate in the country is not conducive for investments; the degree of human rights abuses in the country dampens the sense of economic security; the lack of a free, secure, and safe political environment will discourage bold economic initiatives. The current uncertainties following (Mr. Meles´s) death could slow investment decisions,” Getachew said. In speeches, Meles outlined his vision of how state-rooted protectionist capitalism would benefit Ethiopia. Although he used FDI to spur economic transformation, he also wanted to nurture a competitive productive base and expressed concern that laissez-faire economics would undermine that goal, reducing the chances of lifting a population of 94 million out of poverty. In keeping with this rationale throughout his reign, Meles maintained a state monopoly in telecommunications and barred foreign banks. This approach meant a natural affinity with East Asia’s statist powerhouses. Chinese banks and firms have funded and built roads and dams, and more recently have moved into leather and footwear manufacturing in Ethiopia. According to a recent International Monetary Fund report, Chinese firms are attracted by cheap labour, large plots of land and a growing market of 94 million people. Chinese factories like shoe manufacturer Huajian are now relocating production facilities to Ethiopia to escape rising costs at home. The company was also drawn by one of the largest livestock industries in Africa. The firm may generate four billion dollars in exports a year, according to a recent Bloomberg report that cites the company’s vice president. Chinese businesses have invested 900 million dollars in the country, Ethiopia’s Investment Agency reports. Foreign firms are also eyeing up services. 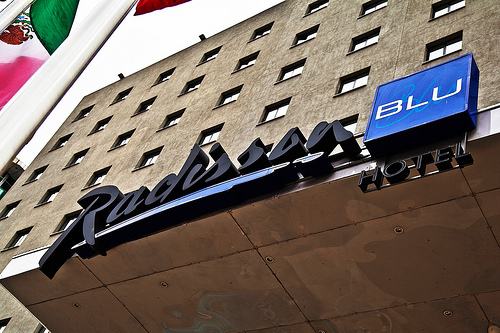 This year the number one hotel group in Europe, the Carlson Rezidor Hotel Group, expanded its upscale Radisson Blu brand into Ethiopia. The company says it sees this country as its vanguard in east Africa. Also this year, Schulze Global Investments, a U.S. firm, announced a 100 million dollar Ethiopia fund, the first private-equity scheme focused exclusively on this Horn of Africa country. The fund will invest in sectors from agribusiness and cement to health care and natural resources. Meles’s economic policies resulted in improved bilateral trade relations with some countries. The UK Trade and Industry (UKTI) office in Ethiopia enthuses about growth in trade: Exports from the UK quadrupled to 248 million pounds in the last five years, while imports from Ethiopia doubled to 105 million pounds over the same period. Rival beverage companies Diageo and Heineken made a total combined investment of 400 million dollars last year in privatised breweries, solid evidence that Western firms are beginning to follow the trail blazed by Chinese, Indian and Middle Eastern firms, says Zemedeneh Negatu, managing partner of Ernst and Young in East Africa. “FDI is increasing steadily, and Ethiopia could receive 1.5 to 2.0 billion dollars each year up to 2015, excluding possible additional investments in the oil and gas sector,” he told IPS. Although investors experience problems with costly transport and cumbersome customs procedures, Ethiopia’s ranking in the World Bank’s Doing Business annual survey has improved to 111th out of 183 countries, higher than the oft-vaunted emerging giants of India and Brazil. Four UK companies are at an advanced stage of gold and oil and gas exploration, according to UKTI’s Dessalegn Yigzaw, with Nyota Minerals planning to invest 200 million dollars to develop the Tulu Kapi gold mine once it acquires a mining license later this year. Gold reserves may be around 500 tons, a recent study claimed. If potash, oil and gas deposits are found by companies such as Allana Potash Corp of Canada, Ethiopia’s South West Energy and the London-based Tullow Oil, billions of dollars will be needed to develop them. One area of controversy has been the government’s commercial farming drive. In 2008 Karuturi, an Indian floriculture company, leased 100,000 hectares in a remote province near the South Sudan border to grow corn, rice, palm oil, sugar and other crops. Critics argue that a food-aid dependent country should not be exporting cash crops. But the government maintains that investments like Karuturi’s will bring jobs and expertise and boost fragile hard currency reserves. At the Ethiopian Investment Summit earlier this year, a characteristically bullish Meles announced to investors: “Ethiopia has over four million hectares of fertile and unutilised agricultural land that we intend to avail to the private sector.” Meles’s protectionist rationale continues to prohibit the purchase of land. Meles displayed an impressive aptitude for attracting investors. While the new administration has vowed to achieve his vision, strong leadership is required by his successor Hailemariam Desalegn to continue Meles’s grand project of modernising Ethiopia. For the time being, there are no signs of the feared instability, or of jittery investors cutting and running. Instead of questioning to what extent foreign investment is translating into jobs and improved quality of life for Ethiopians or questioning Ethiopia’s lowest per capita GDP in Africa or; If indeed it is one of the last four countries in Africa or mouthing around by saying ‘ it stands at the bottom of all countries reviewed for the human development and prosperity indices’ -just ask yourself that What have I contributed to improve the situation of my country of birth? Have you ever seriously looked into the country’s performance in the last decade? I think you just googling like everyone else. Stop being paper tiger and try to cut and paste redandant IMF vodoo economics. Last word- It is not a Chinese model- It is Developmental State. And it is! Ethiopia has been growing fast (double digit since 2004) and not even the IMF and World bank deny this fact. The potential for future growth is huge so i advise you to invest, if you have money. AS to the chinese model, it will not be bad if it was but it isn’t. Ethiopia follows democratic developmental state model which is an organic Ethiopian idea and strategy. People like Getachew and the like. you may have titles like Dr. whatever, it is for your stomach, not for the country. You have to be God fearing person to criticise Meles, who sacrificied his whole life to change the bad legacy of the prevous regimes, I think, your fathers and step fathers who spend their time by squizing the last drop of resources: eating “qurt, drinking Tej”. By doing so, they depleted the resources of this country without developing infrastructure and take care of the environment. Now, you are criticising from abroad for those who are fighting to reverse the bad course. shame on you Getachew. Ethiopia will regain its historical glory no matter what. Thanks for this wonderfully summarized article about the current situation of Ethiopia. Also the honest opinion of Dr Getachew is marvellous. I hope the new government will work hard to improve the mistakes of ex-pm Meles and will bring and maintain the peace and stability and prosperity and well-being of the country.